Create something truly unique by printing your photos onto fabric! At Bags of Love, we have a wide range of 110 beautiful fabrics, which can be personalised with your photos and pictures. Fabric printing doesn't just have to be about cool fashion designs, you can design something special by printing your photos onto fabrics, and then making something out of them - be it personalised clothing, bedding, upholstery or whatever you like. Our photo fabric printing is a wonderful way to add a splash of your personality to your creations. 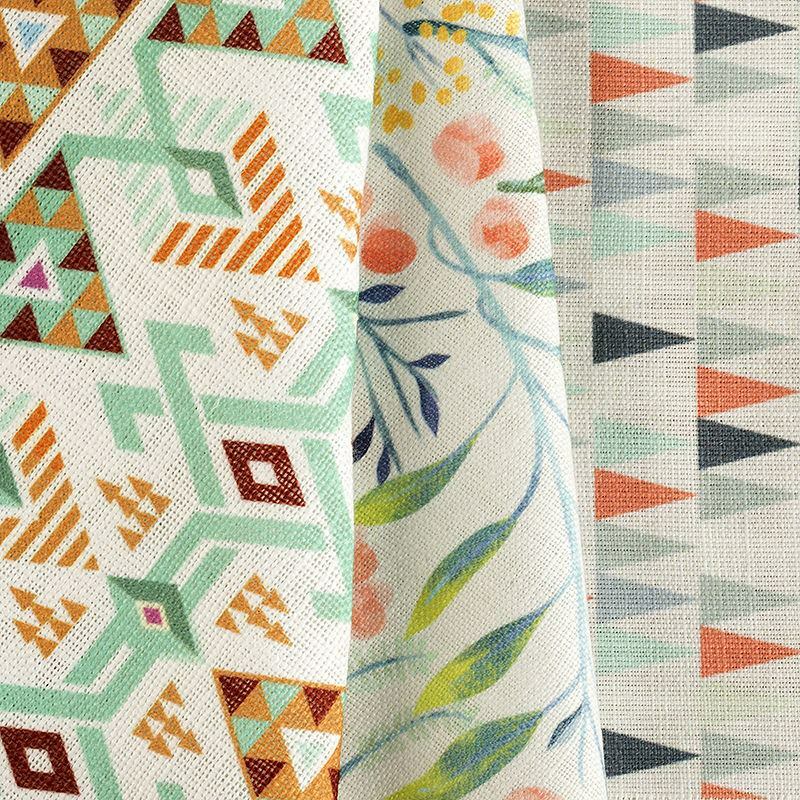 With no minimum order and a super quick turnaround, our 110 photo fabrics are perfect for designers, artists, arts and crafters and everyone else! If you are looking to get creative, and make your own quilt, clothing or home furnishings, then why not make them personal? Instead of generic fabrics you can buy in the shop, create your own designs by printing your photos onto fabric. Our stunning range of 110 photo fabrics puts the design into your hands. Imagine seeing your pictures printed beautifully onto your choice of print-on fabric, which you can then make into something, which is all yours and say; "these are my photos printed onto fabric." Stiff, Matt, Opaque, Woven, Poly. Lighter Weight Canvas. Use: artist canvas, upholstery, cushions, wall art. Soft, Matt, Holes/Net, Woven, Poly. Soft and dry handle. Use: embellishments, clothing, curtains, drapes. Soft, does not fray, Matt, Opaque, Non-Woven, Poly. Faux suede face. Use: upholstery, cushions. Fire Retardant. Soft Peached surface, Matt, Slightly Transparent, Woven, Blend. Light but strong touch. Use: bedding, pillows, sheets. 2 - 3mm thick. Soft, Elastic, Does Not Fray, Matt, Opaque, Woven, Poly. Black neoprene back, light white poly face. One of our most unique printable fabrics. Use: gadget cases, wetsuits, yoga mats. Soft, Matt, Opaque, Woven, Poly. "Terry towel" like split fibre towelling. Use: towels, dressing gowns, bathroom furnishings. Soft, Matt, Opaque, Woven, Poly. 50% Poly and 50% cotton mix creating unique desaturated print. Use: drapes, bedding, pillows. Soft, thin, very wavy, little shiny, semi-transparent, woven, poly. Twisted filament soft sheer and dry handle. Use: dresses, clothing , embellishments, scarves, drapes, shawls, lingerie, nightgowns, layering. Soft, Elastic, Matt, Opaque, Knitted, Poly. Soft touch Jersey. Use: clothing, t-shirts. OekoTex approved. Soft, Elastic, Matt, Opaque, Knitted, Poly. Weft knit stretch Jersey with crepe face. Use: dresses, shawls, casual clothing. Soft, Loop Back, Matt, Knitted, Poly. White faced, loop back stretch jersey. Use: jumpers, hoodies, track suits. Soft, Elastic, Brushed Back, Matt, Opaque, Knitted, Poly. Brushed back heavy stretch Jersey. Use: clothing, furnishing, jumpers, hoodies. Soft, Elastic, Matt, Opaque, Knitted, Poly. Weft knit stretch Jersey with unique raised diamond pattern. Use: jackets, bags, dresses, clothing. Soft, Elastic, Matt, Opaque, Knitted, Poly. Pique knit, stretch Jersey. Use: dresses, clothing. Faux leather, with textured leather look. Bright optic white. Fire rated BS5852 Crib 5 when used with Schedule 3 Flame Retardant Interliner. Use for light/decorative traffic upholstery, bags and more. PVC face, polyester backing. Contains NO animal products. Soft, Matt, Woven, Poly. Linen look. Coarse weave, large fibres. Off white base. Not totally Opaque. Great for craft projects. Use: coats / garments, soft furnishing, craft projects, cushions. Soft, Matt, Semi-Transparent, Woven. Haverstock, linen look, off-white base colour. Some transparency. Use: soft furnishing, craft projects. Soft, Brushed Face, Matt, Opaque, Woven. Soft brushed feel, white, opaque, close weave. Use: jackets, upholstery, cushions, soft furnishing, craft projects. Stiff, Matt, Semi-Transparent, Woven. Strong and durable. 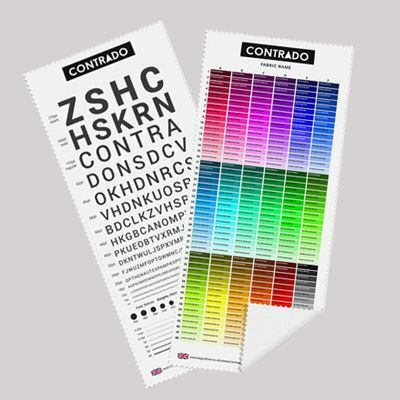 Use: artist canvas, soft furnishing, craft projects. Soft, Does Not Fray, Matt, Non-Woven, Poly. Power mesh open weave fabric. Use: clothing embellishments, nightwear, lingerie. Good drape. Real Cotton Lawn with dye sub layer for the best print. 73 % cotton / 27% poly by weight. Hybrid fabric, cotton base with fused polyester face. Soft, Matt, Slight Transparency. Pique knit. Water absorbent microfibre filament textile. Slightly open weave with course back. Use: garments, tank tops, casual shirts, table cloths, tea towels, fabric placemats. Stiff, Does Not Fray, Matt, Holes/Net, Woven, Poly. For needlepoint embroidery. Stiff open weave canvas with your image printed as a guide. Use: tapestry. Cotton85% / Linen15% blend. Plain weave with slub yarns in the weft. Durable, strong, breathable, absorbent, cool & smooth. Use for craft, aprons, table ware outer garments and more. 90% PVC, 5% Polyester, 5% Cotton. Durable "leather" stamp effect leatherette. 30k Martindale rub test for durability, BS5852 cigarette & match FR test for UK domestic furnishings. Waterproof (BS3424.5A). Elegant, stylish and utterly sumptuous short piled Chichi Soft Velour. Passes 30k Martindale rub test for durability, passes BS5852 cigarette & match FR test for UK domestic furnishings. 100% Organic Cotton Canvas. Rustic, half panama weave canvas weight. Super bright white base colour, charming and soft fabric. Cushions, craft, light upholstery. Soft Rayon textile, derived from Bamboo fibre. Washed for a super soft handle. Matt face, with a vintage look. Expected shrinkage 4% weft, 7.5% warp. We submitted a photograph to be printed on Ruben Recycled Plain Weave for an event. It came out so much better than we expected. Delivery was fast, product quality good and the order process was also very easy to navigate. Would recommend! I had my own design printed onto a length of natural Pima lawn so I could add various processes myself to make a quilted textile. Delighted with the quality and speed of service. This was great. I love how saturated the black came out. It was beautiful. Beware, it is super lightweight so if you're looking for anything crisp this is not it. Family photos and gorgeous landscape shots make amazing subject matters for personalised quilts, cushions and other home furnishings. Whatever fabric takes your fancy from our extensive 110 photo fabric range, you can be sure that your photos will look stunning and your special project will have an amazing end result. Click here to view our entire range of printing photos on fabric. Photo fabrics are easy and quick for us to produce, so much so that we now offer photo fabric printing on demand. We are a leading bespoke photo fabric printer in the UK, and all of our printing is done in-house at our London premises. Our photo printing is made to order and printed on demand, with no minimum order - perfect if you just want to make some cushion covers or a much larger order like a fashion line! Print your pictures onto fabric, to make gorgeous home furnishings, such as drapes, curtains and bedding. Print your photos onto fabric to create something unique and special to you or as a wonderful personalised photo gift.